The truth Word of God is powerful and the author of that Word is supreme over all things. He makes his tarnished image bearer new again by planting His Word in their hearts and giving them the Holy Spirit by which to water the new life into a full vibrant believer. But the key to this life-giving power is the Word of God and its ability to slice through false teaching and cut down the superstition man-made religion. God’s word destroys error and implants truth. If, as I lately said, we turn aside from it, how great soever the speed with which we move, we shall never reach the goal, because we are off the course. We should consider that the brightness of the Divine countenance, which even an apostle declares to be inaccessible (1 Tim. 6:16), is a kind of labyrinth, a labyrinth to us inextricable, if the Word do not serve us as a thread to guide our path; and that it is better to limp in the way, than run with the greatest swiftness out of it. Hence the Psalmist, after repeatedly declaring (Psalm 93, 96, 97, 99, &c). that superstition should be banished from the world in order that pure religion may flourish, introduces God as reigning; meaning by the term, not the power which he possesses and which he exerts in the government of universal nature, but the doctrine by which he maintains his due supremacy: because error never can be eradicated from the heart of man until the true knowledge of God has been implanted in it. To many Christians, guidance is a chronic problem. Why? Not because they doubt that divine guidance is a fact, but because they are sure it is. They know that God can guide, and has promised to guide, every Christian believer. Books, and friends, and public speakers, tell them how guidance has worked in the lives of others. Their fear, therefore, is not that no guidance should be available for them, but that they may miss the guidance which God provides through some fault of their own. This is me. When it comes down to finding God’s will for my life, to often I am looking for a shooting start to point the way. I know God can communicate but I am anxious that it won’t be obvious and I will miss the direction. The ability of God to communicate with us. Has God a plan for individuals? Indeed He has. He has formed an ‘eternal purpose,’ a plan for the fullness of time, in accordance with which he ‘accomplishes all things according to the counsel of his will’ (Ephesians 3:11, 1:10, 11). Moreover, Scripture contains explicit promises of divine guidance whereby we may know God’s plan for our action. Earnest Christians seeking guidance often go wrong about it. Why is this? Their basic mistake is to think of guidance as essentially inward prompting by the Holy Spirit, apart from the written Word. This class of problems concerned with what we may call ‘vocational choices’–choices, that is, between competing options, all of which in themselves appear lawful and good. Examples are: should I contemplate marriage, or not? should I marry this person, or not? should we aim at having another child? should I join this church, or that one? should I serve God in the land of my upbringing, or abroad? which of the professions open to me should I follow? This is me again. I hate having choices. Some people I know love making decisions about everything in order to customize every part of their life. Some want to jailbreak their phone so they can choose so many other options and I personally say I like it the way it is. When it comes to finding God’s will for my life their often seem to many choices and so many turns and in order to avoid having to make a U-Turn I better make the right turn. I like the way J.I. Packer puts this next phrase for life. The biggest mistake of all is the failure to grasp that the fundamental mode whereby our rational Creator guides His rational creatures is by rational understanding and application of His written Word. 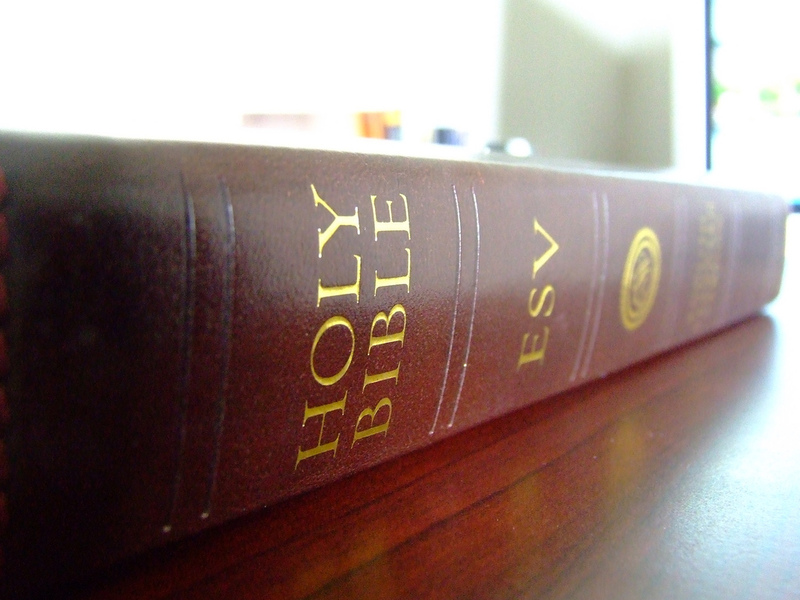 The true way to honour the Holy Spirit as our guide is to honour the Holy Scriptures through which he guides us. The fundamental guidance which God gives to shape our lives– the instilling, that is, of the basic convictions, attitudes, ideals, and value-judgments, in terms of which we are to live–is not a matter of inward promptings apart from the Word but of the pressure on our consciences of the portrayal of God’s character and will in the Word, which the Spirit enlightens us to understand and apply to ourselves. The Spirit leads within the limits which the Word sets, not beyond them. ‘He guideth me in the paths of righteousness’ — but not anywhere else. The head of Venezuela’s presidential guard was with Hugo Chávez during his final moments. His report on Chávez’s last words paints a picture of a man desperately clinging to life. According to this report, Chávez said:I don’t want to die. Please don’t let me die. As a rule, I’m no fan of socialist dictators—particularly those of Chávez’s ilk. But this strikes me as one of the saddest things I’ve ever read. I grieve to think about what the horror of his final moments must have been like. Death is no respecter of persons—not even of billionaire Presidents who command a cult-like following among their countrymen. Not even of you. As the old hymn has it, “Time like an ever-flowing stream bears all its sons away.” None of us will escape this great equalizer. But the great question we all have to ask ourselves is this: Will we be ready? Will our last words exhibit the desperation of a person who knows that it is all slipping away? Of a person who has the foreboding sense that something more terrible than he can imagine waits just on the other side? Or will our final words reflect the confidence that Christ has defeated the final enemy (1 Cor. 15:26)? The confidence that whoever trusts in Jesus Christ will live even if he dies (John 11:25)? If the moment of your demise were descending upon you and you could see it coming as Chávez could, what would you say? That is the great question of your life. It’s the great question of every person’s life. And Thy fury, according to the fear that is due Thee? Let one thing be the surest thing in your mind, your eternal destiny. How foolish to be weighed in the balances and to be found wanting when you could of tipped the scales aforehand. Search your heart. Search for God. He will be found. Chavez is realizing he should have sought God when he could have been found. I am afraid for Chavez, it was too late. I am amazed to realize that the terrible and awesome description of God in these verses is a result of God’s anger against David’s enemies. God was moved emotionally and volitionally because of opposition to His chosen king. I think there is application for me too. Since I am one of God’s children, chosen and redeemed, God’s anger is roused not against me but in my defense. 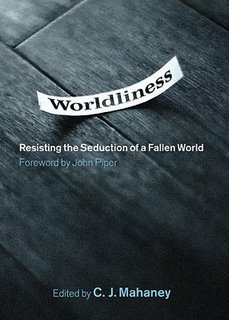 Worldliness is departing from God. It is a man-centered way of thinking; it proposes objectives which demand no radical breach with man’s fallen nature; it judges the importance of things by the present and material results; it weighs success by numbers; it covets human esteem and wants no unpopularity; it knows no truth for which it is worth suffering; it declines to be “a fool for Christ’s sake”. Worldliness is the mind-set of the unregenerate. it adopts idols and is at war with God. Are you at war with God? If not what is your heart like? You see worldliness is not simply externals but rather a matter of the heart. For that’s where worldliness is. It exists in our hearts. Worldliness does not consist in outward behavior, though our actions can certainly be an evidence of worldliness within. But the real location of worldliness is internal. It resides in our hearts. Yes, it is true conduct often reveals the intent of the heart. “For out of the abundance of the heart the mouth speaks.” But your judgment of others conduct does not always ring true with the Bible. You pass judgment on someone’s differing external behaviors but you miss the beam in your own eye. When inclined to judge, first stop and check your motives. Is your heart motivated by love? Is your heart motivated with kindness? Is your heart motivated with an intent to restore? If so judge and confront, but if not, back off and get your own heart right first. Worldliness is not a clothing style or a music style but rather it is an arrogant confident love for something that is dying. We must seek to confront those who are loving the world but be cautious not misjudge someone’s “culture” because it is simply not our own. The idea and quotes came from the below mentioned book. The website J.C. Ryle Quotes shares the following from a tract Ryle wrote entitled “Christ in the Sick Room”. 1. To make us think–to remind us that we have a soul as well as a body–an immortal soul–a soul that will live forever in happiness or in misery–and that if this soul is not saved we had better never have been born. 2. To teach us that there is a world beyond the grave–and that the world we now live in is only a training-place for another dwelling, where there will be no decay, no sorrow, no tears, no misery, and no sin. 8. 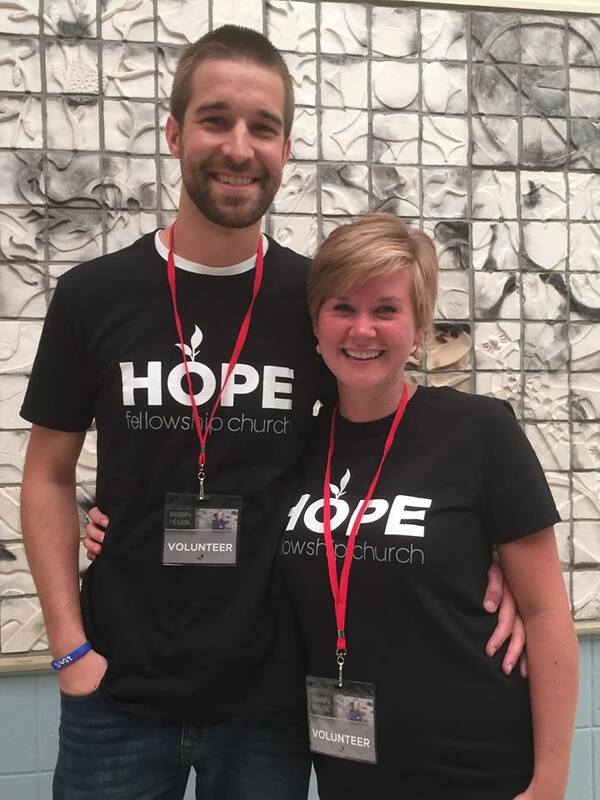 To draw us to Christ. Naturally we do not see the full value of that blessed Savior. We secretly imagine that our prayers, good deeds, and sacrament-receiving will save our souls. But when flesh begins to fail, the absolute necessity of a Redeemer, a Mediator, and an Advocate with the Father, stands out before men’s eyes like fire, and makes them understand those words, “Simply to Your cross I cling,” as they never did before. Sickness has done this for many–they have found Christ in the sick room. 9. To make us feeling and sympathizing towards others. By nature we are all far below our blessed Master’s example, who had not only a hand to help all, but a heart to feel for all. None, I suspect, are so unable to sympathize as those who have never had trouble themselves–and none are so able to feel as those who have drunk most deeply the cup of pain and sorrow. 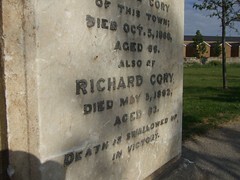 Are You ‘Richard Cory’ Material? Let’s review, Richard Cory had everything a person could want: like-ability,health, attractiveness, attitude(swag), beauty, intelligence, money, fame, and admirers. Richard Cory illustrates how wealth cannot bring contentment. You can’t fill emptiness with more emptiness because in the end all you get is nothing. Are you hungry right now? How about a few hours from now? Hunger is temporarily satisfied and then hungry again. Materialism is the same way it’s like our metaphysical hunger and it’s insatiable. In the Sunday School class at CBC we’re doing a series called Marriage, the Bible and You. In the second lesson of the series, I brought up the subject of secular talk shows and how they like to try to beat up on Christians of any size, shape, and significance about whatever topic they think is most embarrassing and controversial. Of course, at the moment it’s “gay” “marriage,” or the topic of homosexuality at all. In the course of the lesson, I remarked that I think — from the comfortable quiet safety of my study — that I’d take a different approach. “You know, TaPierRosEllRy, when you ask me about X, you’re obviously picking a topic that is deeply offensive to non-Christians — but it’s far from the most offensive thing I believe. You’re just nibbling at the edge of one of the relatively minor leaves on the Tree of Offense. Let me do you a favor, and just take you right down to the root. Let me take you to the most offensive thing I believe. “The most offensive thing I believe is Genesis 1:1, and everything it implies. “So yeah, insofar as I’m consistent with my core beliefs, everything I think about sexuality, relationships, morals, the whole nine yards, all of it is derived from what the Creator says. If I deviate from that, I’m wrong. Matthew’s Gospel demonstrates with special clarity that Jesus’ death was sacrificial and that he rescued his disciples from the penalty for their sins. Thus it is no surprise that E. Renan identified Matthew’s Gospel as the most important book ever written. Matthew’s Gospel stressed four aspects of Jesus’ identity. Bibliography: Kosternberger, Andreas L., Scott Kellum, and Charles L. Quarles. The Cradle, the Cross and the Crown: An Introduction to the New Testament. Nashville, TN: Broadman & Holman, 2009. 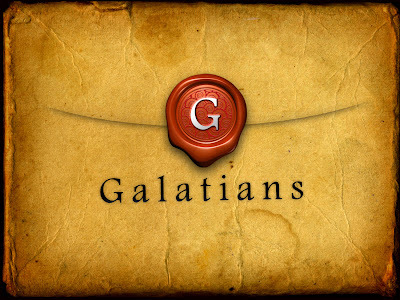 Your reading assignment this week (10/15- 10/21) is to read the book of Galatians. Comment(click on title) on this post to discuss what you are learning or ask questions on what you don’t understand.